Multi-functional at its best! 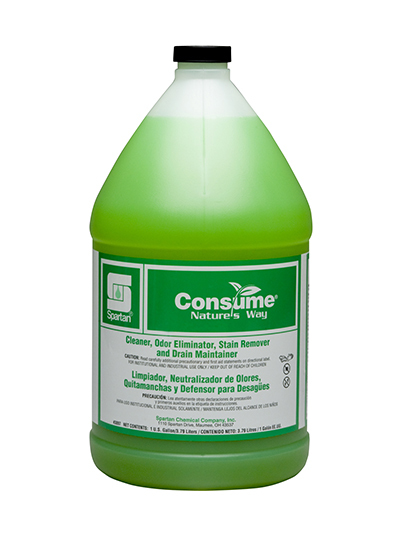 Consume is a cleaner, odor eliminator, stain remover, and drain maintainer. It naturally removes difficult organic soils from many surfaces including tile, concrete, steel, and carpet. Regular use of Consume eliminates organic build-up in drains, keeping them clear and odor-free. Ideal for cleaning and odor control in many areas, such as carpets, drains, dumpsters, and more!